1967’s Conn Smythe winner steps onto the ice again in Toronto. Ironically enough, just after I read about how the Leafs’ star walked away from the team due to Ballard’s cheap approach to contract negotiation, I read a piece about Yzerman only offering Stamkos 8.5 million. Mmf. Hope it doesn’t end in the same way. Or do I? 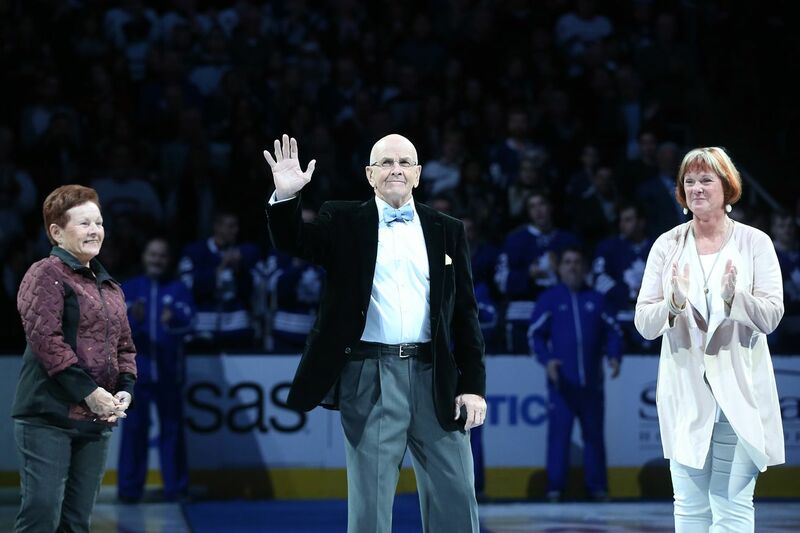 Anyway, on a lighter note, Keon was honored at last night’s Leafs game, and it was lovely to see 1967’s Conn Smythe winner back on the ice in Toronto. Leafs legend will join alongside Turk Broda and Tim Horton. While the Blues have survived January to this point, they have given up a ton of shots. What’s going on? They are not positive thoughts. If anyone is misogynistic enough to say “but women haven’t played the game,” I will end you. A Minneapolis judge presiding over the class action concussion lawsuit brought by former players against the National Hockey League has ordered the unsealing of a series of “embarrassing” emails sent to and from league executives.